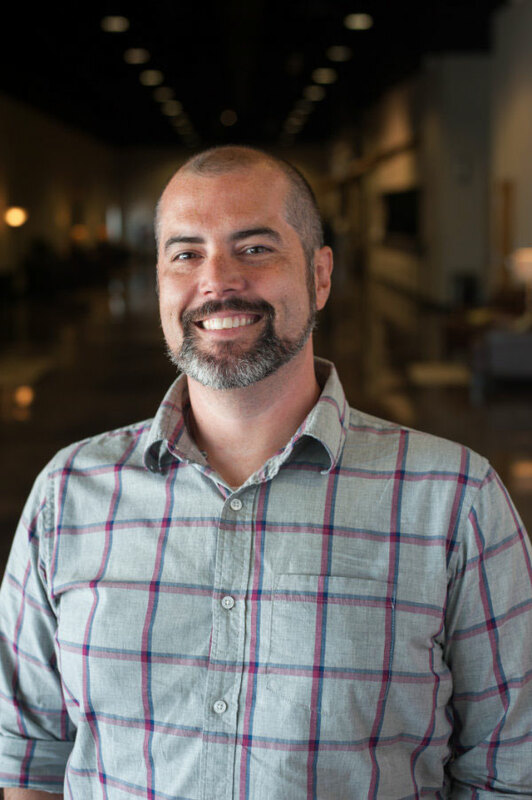 Joey leads our Worship and Creative Arts ministry, overseeing all aspects of the Sunday morning worship experience and creative elements of our ministry. Joey came to Dan River Church from North Carolina where he served as a Pastor of Children and Youth. Joey comes with 15 years of ministry experience, serving both as a volunteer and on church staff. Prior to being called into the ministry in 2010, he worked as a graphic designer for 10 years. Joey received his Bachelor’s Degree in Communications with a minor in Youth Ministry from Liberty University in 2002. Prior to attending Liberty, Joey graduated from Word of Life Bible Institute in Schroon Lake, New York. Joey is married to Courtney and they have two children; Ashlyn and Isaiah. Joey’s passion is for people to clearly understand God’s amazing plan of redemption and find themselves overwhelmed by the love of Christ.